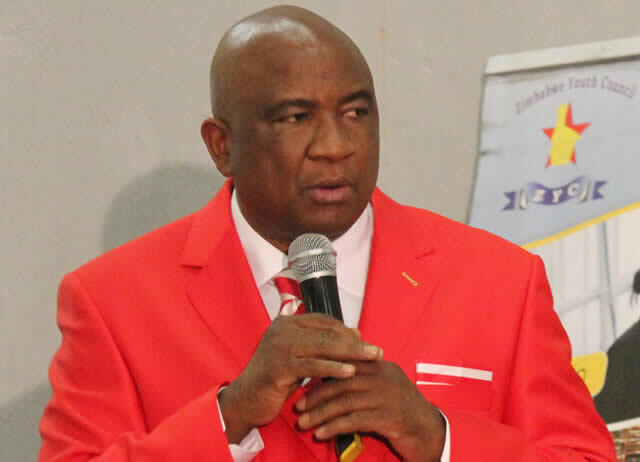 ZIFA president Philip Chiyangwa has been accused of rigging the soccer mother body's presidential elections set for next month by employing unorthodox ways to bar his rival, Felton Kamambo, from contesting. Kamambo, who was part of the current Zifa board before he quit early this year, has taken the incumbent out of his comfort zone after he declared his interest to contest for the top post. In a bid to maintain his grip as the Zifa boss, Chiyangwa is allegedly employing all dirty tricks in the book, including amending the electoral rules. On top of frustrating Kamambo to access a nomination form, it has emerged that prospective candidates for the executive committee posts were required to pass an integrity test by the Zimbabwe Anti-Corruption Commission (ZACC). It is believed Chiyangwa, who has strong links with senior officials in ZACC, was desperate to ensure that his challenger was banned from contesting on a technicality. Traditionally, background checks for people eyeing top positions, even for Zifa executive committee elections, were carried out by the police, and Chiyangwa's decision to involve ZACC this time around raises stink. Kamambo believes he is the one being targeted by the new rules, and cried foul after he failed to get a letter from ZACC, which should be attached to his nomination form. As it stands, his bid will fail on a technicality. "I went to ZACC, but they denied me the letter. It's surprising because this is the letter I was supposed to attach to my nomination form. Whatever the letter contained, I was supposed to be given that letter," Kamambo said. "So I had to submit my nomination form without the letter. These are all efforts to try and disqualify me." Reports also suggested yesterday that councillors who nominated Kamambo to contest the post were being investigated as part of a broader strategy to intimidate them ahead of the elections scheduled for December 1. Zifa spokesperson Xolisani Gwesela said he could not comment on electoral matters as it was incumbent on the electoral committee to decide. "I am not in a position to comment on electoral matters suffice to say the electoral committee will decide," he said. Former Njube Sundowns director Gift Banda submitted his nomination form seeking to challenge for the Zifa vice-presidency post, where he will go head-to-head with incumbent Omega Sibanda. Banda, now a House of Assembly member for Njube-Lobengula constituency in Bulawayo, feels he still has more to offer to Zimbabwean football, having also been part of the Zifa board. Zifa board member for finance Philemon Machana has said he would seek re-election. Sports caster and businessperson Barry Manandi has also thrown his hat into the ring for an executive committee position. Chiyangwa's close ally, Chamu Chiwanza, whose football background is dubious, is also seeking election into the Zifa board, as is public relations practitioner Sugar Chagonda.